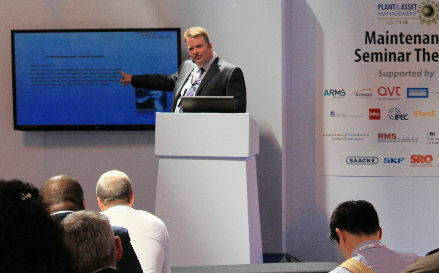 Machinery Safety and Compliance Services attend and speak at many trade events and shows. Each of our experts have more than 25 years’ experience within the Safety and Engineering sectors, supplying a complete range of Health and Safety services to a broad range of industries. This allows us to connect to the delegates and speak on issues that they can relate to. We are not afraid to engage with the audience to ensure that our sessions are both interesting and informative. Discussion and debate are very important to ensuring a positive educational experience. MSCS staff are one of the very few who are recognised by CEN (Who publish the Harmonised EU Standards) as an expert on European Directives by appointment as “Registered advisor to the European Committee for Standardization” and Appointed Expert on European Safety Standards. Our practitioners have graduated with IOSH with degree level qualifications in Health and Safety with Oxford/Cambridge and the Royal Society or Arts aswell as an established engineering background. This gives us a unique insight into the challenges our customers face in providing machinery that is safe, compliant and still useable. Getting time out of work to attend inspirational and educational shows and events is often difficult. Many companies decide to host their own corporate days where important issues are discussed, such as upcoming projects an company reporting. MSCS Ltd would be delighted to attend these days and give a short presentation to key stakeholders on machinery safety and how it affects your business. Slots from half and hour through to a full day are available. Stakeholder and company days are available on an 'expenses only' or free basis. Enquire with us for availability.